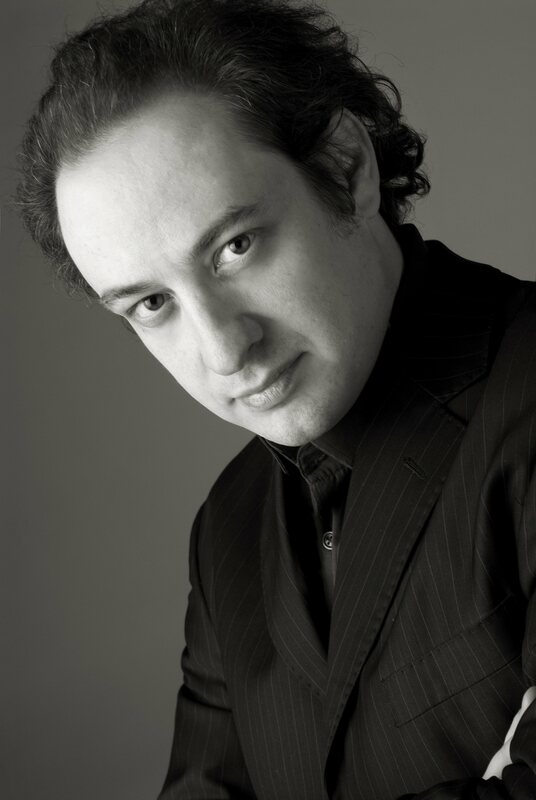 Stefano Secco began his studies of piano and singing under the guidance of M° Alberto Soresina and subsequently received a diploma in percussion with M° Tullio De Piscopo. Secco privately followed Maestri like Franco Corelli, Franca Mattiucci, and attended master classes led by Leyla Gencer and Renata Scotto, among others. After his first professional experiences and various tours in Italy and abroad, he sang the role of Fenton in Falstaff at Teatro Verdi in Sassari and was immediately engaged by Teatro dell’Opera in Rome as a soloist tenor for Puccini’s Messa di Gloria and Berlioz’s Te Deum. On the same stage, he sang the role of Rodolfo in a successful production of La Bohème. Following these performances, Secco was soon cast to sing many important roles on the major stages worlwide, including: Rigoletto (Duca of Mantova) at Teatro Regio in Turin, Wiener Staatsoper, Theatre of Toulouse, Oper Frankfurt, Teatro Massimo in Palermo, Venezia, Baltimore, Coruna, Arena of Avenches, Stockholm and Opéra Bastille in Paris; La Bohéme (Rodolfo) at Teatro Regio in Parma, Teatro dell’Opera in Rome, Opéra Bastille in Paris, at the Puccini Festival in Torre Del Lago and together with Angela Gheorghiu in a Gala in Wiesbaden; La Traviata (Alfredo) in Venice, Tokyo, Barcelona, Hamburg, Frankfurt, Florence and under the baton of M° Muti at La Scala in Milan; Madama Butterfly (Pinkerton) at Teatro dell’Opera in Rome, at the Puccini Festival in Torre Del Lago and at Teatro Comunale in Florence; Lucia di Lammermoor (Edgardo) at Deutsche Oper Berlin and in Liège; Roberto Devereux in Oviedo and at Wiener Staatsoper; Arturo in I Puritani at Teatro Bellini in Catania under the baton of M° Kuhn and recorded by BMG; Gualtiero in Il Pirata in Amsterdam conducted by M° Carella, Nemorino ne L’Elisir d’Amore at Teatre Liceu in Barcelona and at Royal Opera House in London; the important role of De Grieux in Massenet’s Manon at Grand Theatre of Geneve and at Liceu in Barcelona; Simon Boccanegra (Gabriele Adorno) at Opéra Bastille in Paris, at La Scala and in Cagliari. He was highly praised at Teatro Filarmonico in Verona in the difficult role of Osiride in Mosè in Egitto, with M° Scimone conducting. He then sang Rossini’s Stabat Mater at Teatro dell’Opera in Rome conducted by M° Ranzani and Berlioz’s Roméo et Juliette at the new Auditorium Parco della Musica in a live radio broadcast under M° Chung; La Bohème at Teatro Regio in Parma, Rigoletto and the role of Don Carlo at Opéra Bastille in a new and successful production directed by Graham Vick, La Traviata in Tokyo, the acclaimed debut in Luisa Miller at the Staatoper in Munich, Lucia di Lammermoor at Teatro Comunale in Florence, a new production of Macbeth at Opéra Bastille in Paris, Werther at Oper Frankfurt. Season 2009-10 opened with Simon Boccanegra in Tolouse and La Bohème at Opéra Bastille and at Deutsche Oper Berlin. Further highlights included Rigoletto at La Scala, and the debut in Gounod’s Faust (title role) at San Francisco Opera with great reviews from public and critics. The following years saw Mr. Secco performing on the major stages worlwide: La Traviata at La Fenice in Venice and at Teatro Regio in Turin, the return to San Francisco Opera as Pinkerton in Madama Butterfly conducted by M° Luisotti, La Bohème in Munich and Rome, I due Foscari in Trieste, Macbeth and Simon Boccanegra in Bilbao, Rigoletto at Montecarlo Opera, Verdi’s Requiem in Frankfurt under M° Luisotti, Un Ballo in Maschera at Macerata Festival, Roméo et Juliette at Arena di Verona, Roberto Devereux in Marseille. He obtained great reviews from public and critics singing Verdi’s Messa da Requiem in Moscow with La Scala on the occasion of Bolshoi’s Theatre new opening and in St. Petersburg with Teatro Regio di Parma, Simon Boccanegra with Placido Domingo in the title role in Los Angeles under the baton of James Conlon, I Masnadieri in Naples, Madama Butterfly in Seattle and Berlin, Carmen in Venice, again Roméo et Juliette at Arena di Verona, Les Contes d’Hoffmann at Opéra Bastille, Macbeth in Madrid and at La Scala, Don Carlo in Oviedo, La Bohème in Zürich, Bilbao and at Festival Pucciniano in Torre del Lago. Most recently, Nabucco and Roméo et Juliette at Arena di Verona, Madama Butterfly in Barcelona, Dresden, Chicago, Tokyo, Florence and Toronto, Carmen in Venice and in Seoul, Simon Boccanegra at Wiener Staatsoper, La Traviata in Palermo, La Bohème at Opéra Bastille, Simon Boccanegra in Munich. His future plans include: Madama Butterfly in Hamburg , Un Ballo in Maschera at La Monnaie in Bruxelles, L’Elisir d’Amore at Wiener Staatsoper, La Traviata at Seattle Opera. Stefano’s voice has been chosen to be inserted into a sequence of the film “The perfect host” by Nick Tomnay, singing “Quando le sere al placido” from Luisa Miller.